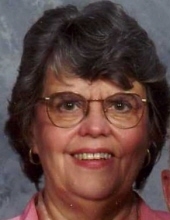 Beverly Jean Bruner, from Berkley, Michigan, went home to be with the Lord on Wednesday, November 7, 2018. She passed away with her family at her home at the age of 79. Beverly was born in Detroit, Michigan and moved to Berkley as a child. She lived the reminder of her life there with her husband and family. She graduated from Berkley High School in 1956 and attended Wayne Sate University and Detroit Conservatory of Music. Beverly was an accomplished pianist, accompanist, music teacher and organist. She taught piano for 60 years to hundreds of students including her own children and grandchildren. She attended John R Baptist Church in Detroit as a youth and has been a long-time member or Highland Park Baptist Church in Southfield for decades. Her many roles included Sunday school superintendent, choir, accompanist, Women Together chairperson, and many other roles. She accompanied for many Berkley school musicals and at various churches throughout the area. She and her husband owned Bruner and Sons Electric for 25 years, and she was employed at Bayer Corp. for 15 years as an administrative assistant. First and foremost, Beverly loved and followed Jesus Christ, and was a happy, faithful and loving wife to Wayne Bruner (married December 20, 1958). She was a dedicated and loving mother to five children, Nana to twelve grandchildren (Joel, Marissa, Alana, Christopher, Laura, Bradley, Jonathan, Catherine, Molly, Noah, Aoife and Saoirse) and six great-grandchildren (Zuri, Micah, Harper, Emmett, Audrey and Elliot). Beverly will be deeply missed by her husband Wayne Stuart Bruner, to whom she was married for 59 years. She will also be sadly missed by her children Mark (Denise), Brian (Tania), Anne (Walt Griffard) and Matthew (Kate). She was preceded in death by parents Maurice and Alpha Rials, her daughter Susan Jean, and her grandson Christopher. She will also be profoundly missed by her sister Lois (Rials) Montgomery, nieces Lynda (Dare) Pendleton and Robyn (Dare) Anthony, and nephews Joshua and Jacob Pendleton, all of Indiana. She will be missed, too, by Beverly’s brother-in-law David Mendelson, her nephew John Matlock, her niece Karen Matlock and nephews Jason and Brian Matlock, as well as many dear friends and extended relatives. A viewing and visitation will be held at Sawyer-Fuller Funeral Home in Berkley on Tuesday, November 13 from 3-8 PM. A memorial service will be held at Highland Park Baptist Church in Southfield on Saturday, November 24 at 10:30 AM in the church sanctuary. To send flowers or a remembrance gift to the family of Beverly Jean Bruner, please visit our Tribute Store. "Email Address" would like to share the life celebration of Beverly Jean Bruner. Click on the "link" to go to share a favorite memory or leave a condolence message for the family.